Welcome to the Ken Caryl, CO dental practice of Susan Kutis, DDS. Dr. Kutis is an award winning female dentist with years of experience offering extensive general and cosmetic dentistry services. The Blue Sage Dental team have all been with the practice and working with our patients for years. Many of our team members have even been with us for more than a decade! 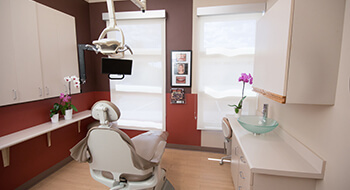 By having a dentistry team who are invested in the success of our patients, we are able to provide superior dental services and a personalized, compassionate treatment plan. Dr. Kutis is happy to provide outstanding general and preventive care for families from Littleton, Ken Caryl, and other nearby communities, and dental checkups are the most essential part of any treatment plan. Many of our new patients come to us during emergencies. Dr. Kutis has after hour contact information available, and she is happy to assist patients when they need emergency dental treatment. In addition to general dental care and emergency treatments, Dr. Kutis is a highly skilled restorative and cosmetic dentist. She has completed a number of the most prestigious advanced dentistry education training continuum's including the Dawson Institute. Dr. Kutis goes above and beyond to ensure her patients achieve the highest quality dental transformations. Contact our team to find out more or schedule an appointment today.